MSU alumnus Glenn Stevens is executive director of Mich Auto and vice president of automotive and mobility initiatives for the Detroit Regional Chamber. 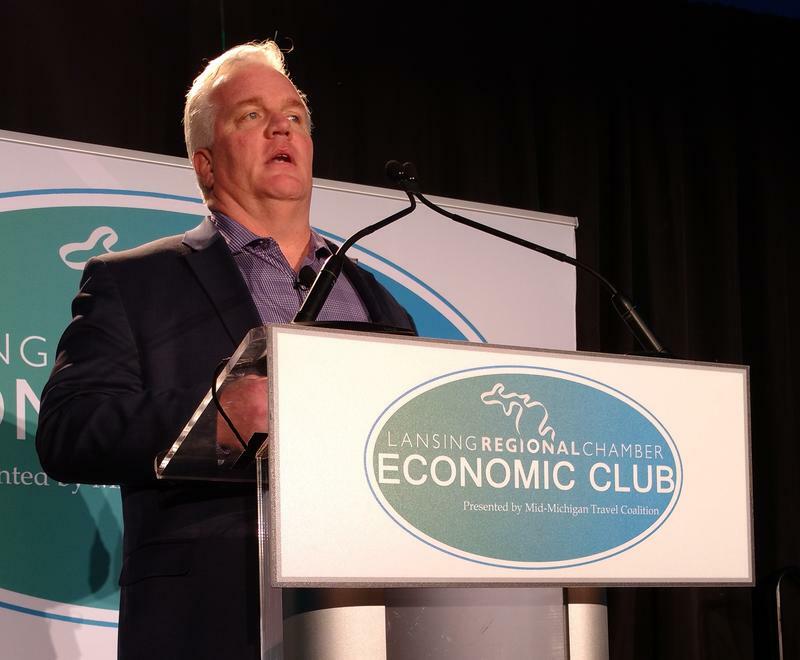 Stevens spoke to the Lansing Regional Chamber Economic Club on February 15. Glenn Stevens talks with Russ White. Stevens adds that the biggest challenge to keeping Michigan at the forefront of these emerging technologies is talent. Quoting a Ford executive, Stevens says companies will deploy their resources where the talent is. In addition to compensation, that talent is attracted to the culture and mission of companies. MSU Today airs Sunday afternoons at 4:00 on 94.5 FM and AM 870.